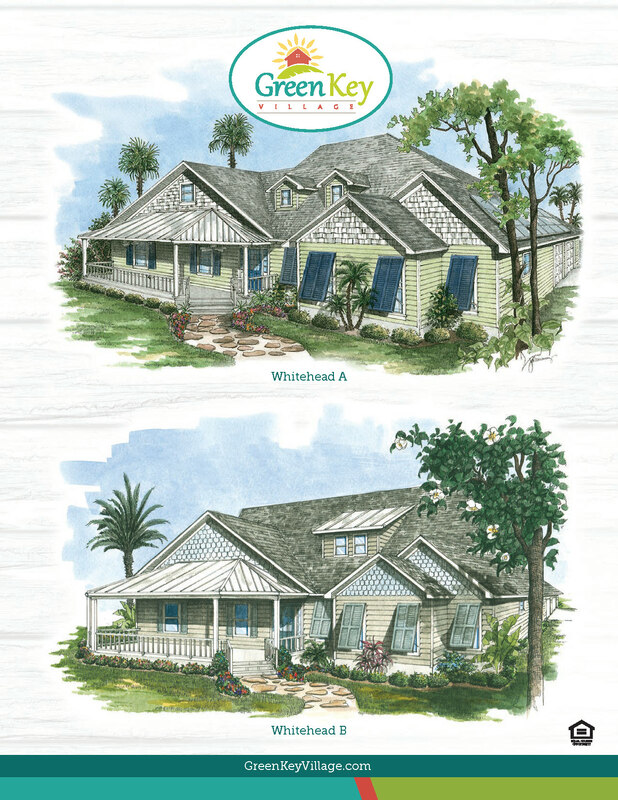 Whitehead’s floor plan is reminiscent of Florida’s coastal living. 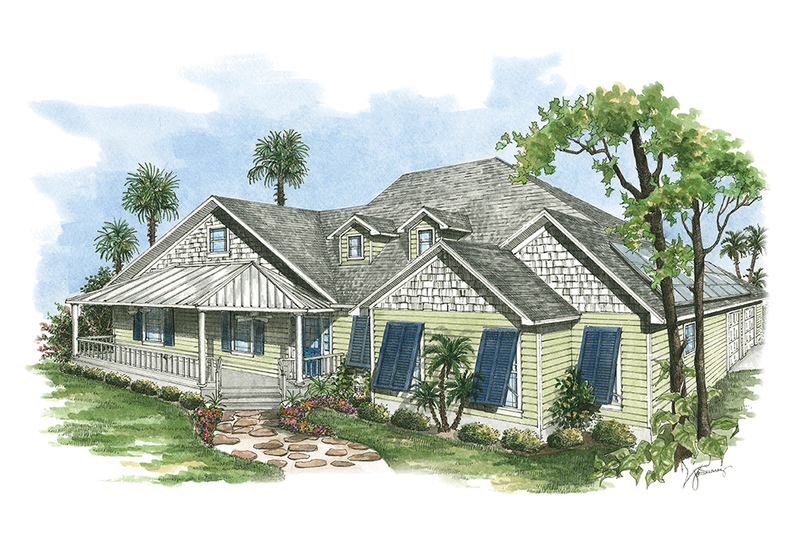 Bahama shutters, tropical exterior colors painted on to fiber cement board lap siding and large out-side living areas include a broad front porch with ceiling fans and a spacious lanai. Both the great room and the kitchen’s breakfast nook have easy access to the outside. 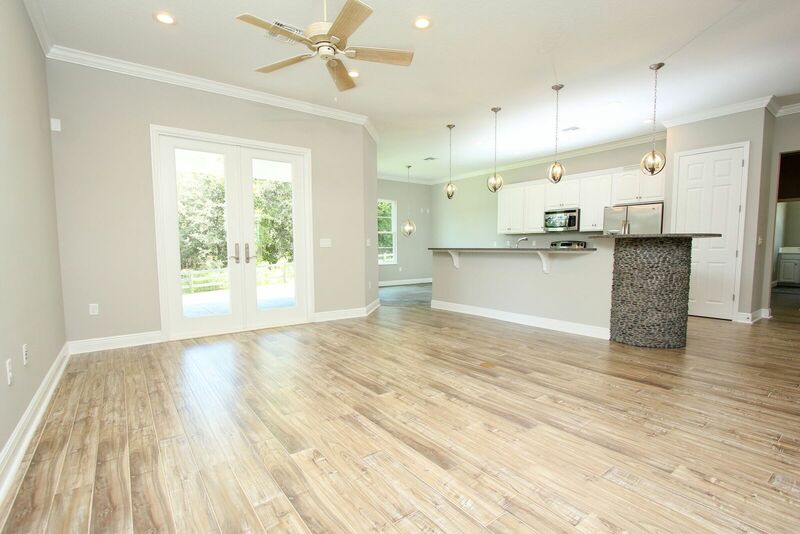 Sit at the beautiful granite kitchen island to enjoy conversation going on in any room. Wood cabinets and Energy Star® appliances make this kitchen both delightful and extremely energy efficient. Whitehead’s master suite will simply spoil you with dual vanities and a huge walk-in closet. 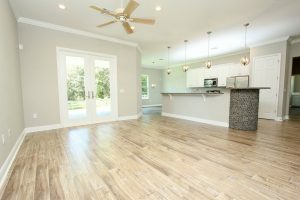 With a split floor plan, two bedrooms and a full shower/tub bath make up the opposite side of the home including a flex space that can be used any way you choose. A large laundry and pantry is conveniently located next to the garage. 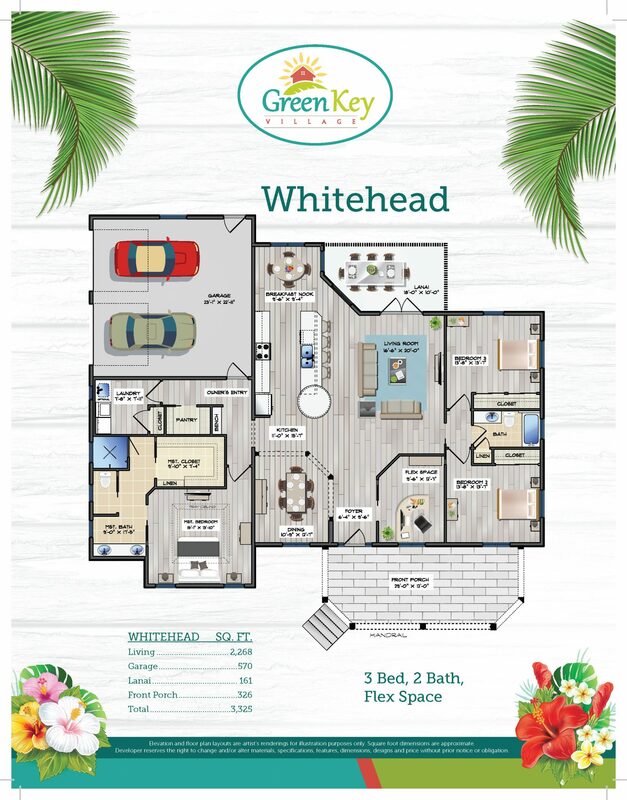 Live green, live well when choosing the Whitehead home plan. Keep it simple. The home buying process should be as easy and stress-free as possible, that’s why we offer Move-In-Ready homes. All of these homes feature net-zero energy design and island-inspired architecture. Since saving energy is the core of our mission, every home at Green Key Village is powered by solar panels.